If a mid-size city with a small town feel is what you’re looking for, Leesburg may be your spot. 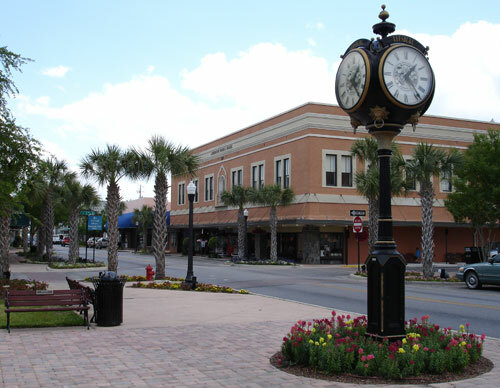 It’s Lake County’s oldest town and one of the hidden jewels of Florida. It’s where life slows down and people still walk down Main Street waving and saying hello. Climate: Warmer climate yet still providing 4 seasons. Spring months the tempratures are generally in the upper 60’s to lower 70’s. Summer brings tempratures in the 80’s and 90’s with afternoon rain showers, Autum is much like Spring without the rains. Winters are mild with tempratures in the 50’s to 60’s and the occassional cold when we dip into the 30’s. Leesburg always seems to have a nice breeze due to its proximity to many lakes. Shopping: Main Street offers dozens of small mom and pop shops offering everything from antiques to a doggie bakery. Family owned resturants, the local gym and pool hall along with a brand new library offer plenty of entertainment. And the Saturday Morning Market is a must for fresh produce, breakfast, or just catching up with the locals. With so many options, there’s never a need to venture into a bigger city during your stop in Leesburg. Getting There: Only an hour’s drive from Orlando, 2 hours from Tampa, 3 hours from Daytona, 4 hours from Tallahassee and 5 from Miami, Leesburg has access from all major points North South East or West via I95 (east coast) and I75 (west coast). Interstate I-4 links them together as does the Florida Turnpike. Leesburg is exit 285 heading southbound and exit 289 if northbound. Where to Stay: Because Leesburg is small in area, there are multiple lodging options situated near each other. All have reasonable rates that range from $65 per night in the off-season to $120 per night during peak months. 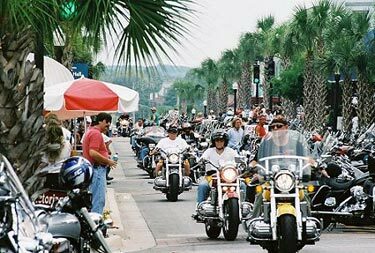 Bikefest – In mid April, the bikers roll into town for a 3-day stay during Bikefest. The crowd this year topped over 10,000 and offered something for everyone. There are bandstands blaring music, delicious treats,souvenirs to buy, and bikes to drool over. It’s a must for anyone who rides. Lake Griffin & Lake Harris – From late April to September trekkers can take advantage of good boating conditions on Lake Harris and Lake Griffin. Both have great fishing and miles of open waters. Lake Harris has hosted the Bass National Fishing Championship several times, and Lake Griffin is a national park with full ammenities for campers. 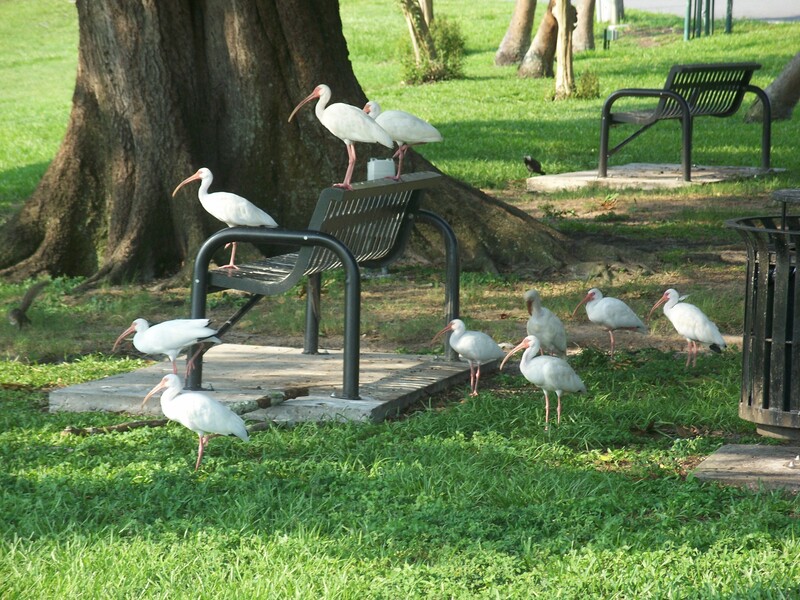 Venetian Gardens – This beautiful park offers a great place to spend the day cooking out, enjoying the recreation areas, and relaxing by Lake Harris. It offers several boat docks with launches, bathroom facilities and a pool. Mote Morris House – The Mote Morris House and the Black History Museum and Library offer great indoor educational activities for the intellectual trekker. 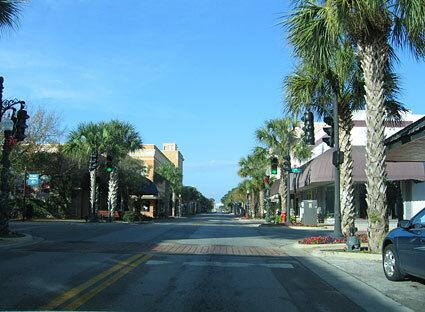 Orlando – Although certainly not part of Leesburg, Orlando is worth mentioning. A short drive away, a variety of theme parks and family fun destinations are easily accessible for those needing a little excitement. JJ Fin’s – Trekkers can enjoy great food, outdoor games, an old-fasioned steamboat, live music on the patio, or a game of pool with friends upstairs. The menu includes everything from burgers and steak to fresh lobster. Ramshackles – Serving the best wings and beer in town, Ramshackles also has a full, reasonably priced menu and offer outdoor seating. Osaka’s – Serving traditional Japanesse,Tempanaki style. Prices are midrange, but for the amount of food you get, you can’t complain. Although considered smaller city, Leesburg packs a surprisingly powerful punch. Make your next trip to Florida one to remember and visit this hidden jewel. If the beauty of the lakes doesn’t lure you in, the friendliness of the people will…just watch out for those gators. This entry was posted in florida and tagged bikefest, florida, lake, leesburg, orlando, travel. Bookmark the permalink.